Every now and then my school has an hour and a half block for students to try new things! 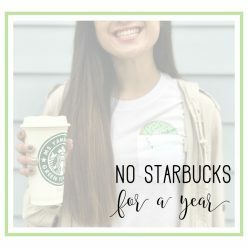 Teachers and staff “host” different activities around campus and students are allowed to check out anything that is being offered! It’s a “Day of Wonder” that allows the students so much choice! 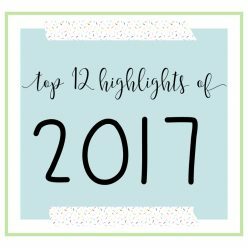 Activities have included game rooms, play dough making, marble runs, a relaxation station, pillow forts, yoga, viking lawn games, croquet, etc. 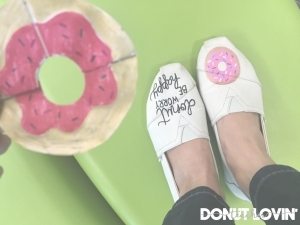 For my first activity, I wanted to do something crafty and if I could incorporate a donut into it, even better. 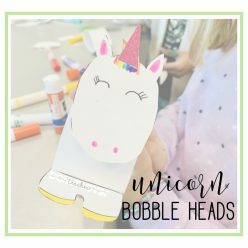 After consulting Pinterest and checking out some blogs, I came across Red Ted Art and soon after decided that my first activity would be a DIY Donut Bookmark! Of course, I had to rock my TOMS designed by the one and only Hipster Art Teacher! Since this “Day of Wonder,” is for grades K-5, I prepared some in advance for the kinders and firsties to color in because I found that with kids coming in and out at different times, it might be challenging to show the kids how to do it. 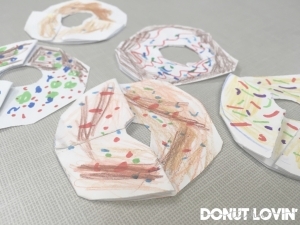 What was even better than my precut donut bookmarks was the way that fourth and fifth graders were helping kindergarten and first graders make their own! It was so sweet to see them pass on what they learned to someone else! 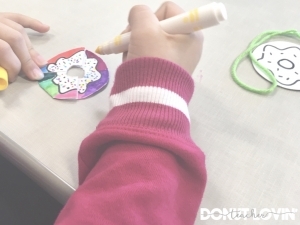 It was also sweet to see the kids actually using their bookmarks! Since my class is doing the “40 Book Challenge,” bookmarks felt very necessary and appropriate! Kids always need bookmarks because they should always have a book they are reading! Ok, but I HAVE to share my favorite bookmark with you! 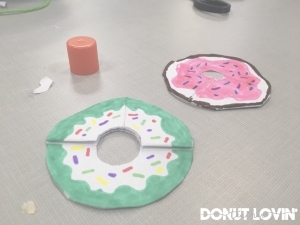 As much as I love the look of all these circular-shaped donuts, I have to give the Creativity Award to the student who decided to make a chocolate donut bar, also known as a “Long John.” As I mentioned, kids come in and out as they please, so giving directions can be a challenge. 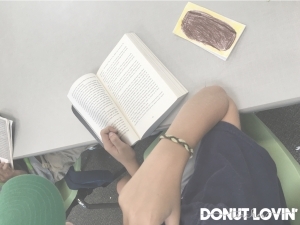 This kid came in and heard “Donut Bookmarks,” so he did his thang and totally rocked it! 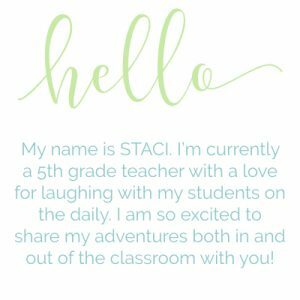 Definitely check out the YouTube tutorial I linked above for the directions, and try it with your students!